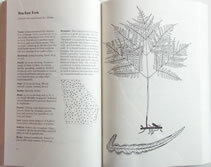 Sometimes a simple, well-done line drawing provides a clearer representation than a color photograph. Perhaps it's because there are fewer distractions — a good artist can direct your eye towards important features. Likewise, sometimes information is more easily absorbed when it is presented, well, sort of in a modular format. 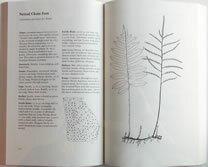 Rather than force the reader to sift through pages of text seeking a specific fact, this book provides what amounts to an information-filled checklist: name, rootstock, fronds, stipe, rachis, blade, pinnae, sori, habitat, range — each feature is carefully described. 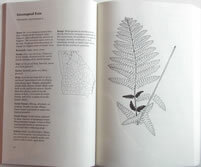 A Georgia map displays the counties in which the fern has been documented, and a "remarks" paragraph concludes each species description.